Whether this if for Grandma, Grandpa or both, they will love it! A lovely gift basket designed especially for grandparents. Not much compares to the love of a grandparent. 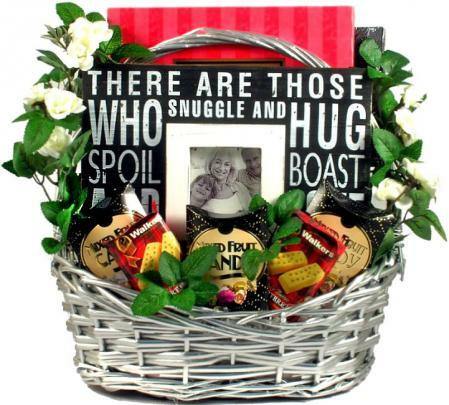 Express your appreciation and love for them with this unique gift basket for grandparents. Show your grandparent(s) how much you appreciate all of their love and support over the years with this very special gift designed just for them. This beautiful basket includes a host of delicious snacks and sweets along with a unique keepsake Grandparents photo frame. They will love this gift basket and your thoughtfulness.